Brahma in Sanskrit means growth, expansion, and creation. 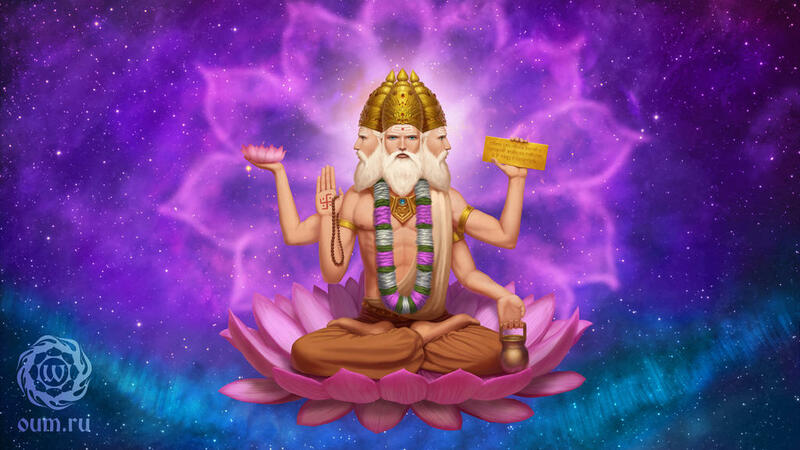 In this way, Brahma is recognized as the God of creation. He is attributed to the creation of Brahmanda (entire universe) and all forms of life within it. So he is also known as the Creator and the creative energy of the entire universe. He is believed to be born from the Kamal, (lotus) springing from Vishnu’s Navi (navel) as he was laying on the great serpent in the milky ocean. Hence, he is also known as Nabhija (navel born) and Kanja (water born), according to Hindu doctrine. The Lord is the source of everything, and thus all the reality has the source in Brahman. Everything grounds to Brahma, and that all reality has its ultimate repose. Hindu Dharma, as a philosophy, as well as a religion, is thriving towards this reality known as Brahman, both consciously and exclusively. He is one of the trinity gods of Hindu dharma, Lord Vishnu and Lord Shiva being the other two. Thus, here are few Hindu Baby Names on Lord Brahma with their meanings.